Harriet, Jack, and Toby are treasure hunters, searching the Minecraft world for its most valuable hidden secrets. In an abandoned mineshaft, they discover what they hope is an enchanted book. But what they’ve found turns out to be much more valuable. William is one of Minecraft’s most renowned explorers. He’s a legend in the world of Minecraft, but, under suspicious circumstances, he’s gone missing. The book they’ve discovered is a journala lost journal that once belonged to William the Explorer. Ignoring the ominous DO NOT OPEN THIS BOOK! warning scribbled across the journal, the treasure hunters delve into the book’s pages. Filled with the knowledge William has gathered during his adventures, the journal offers invaluable information for the treasure hunters. The promise of hidden strongholds filled with treasure is too good to resist, and the trio begins an epic journey in search of rare goods and possibly even the long-lost explorer himself. 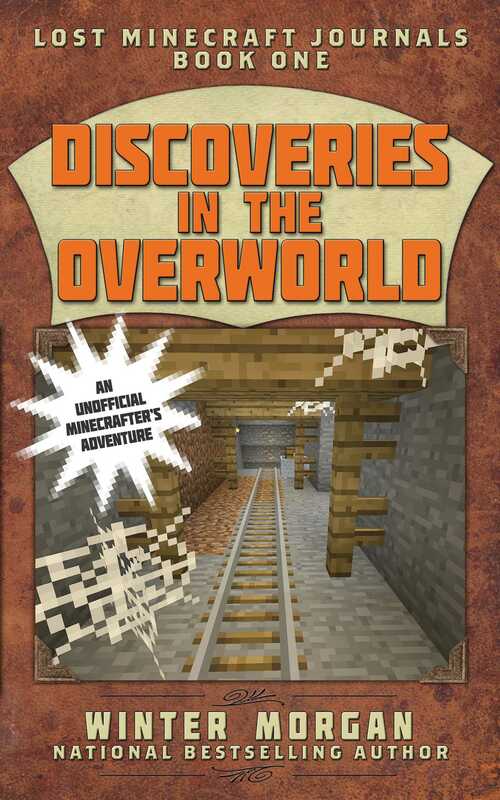 This is the first book in the new Lost Minecraft Journals series. The chapters of each book alternate between the journal entries (William’s story) and the story of the treasure hunters. Fans of Minecraft won’t want to miss this wild new adventure.